Famous throughout Europe, Buschbeck outdoor fireplaces are known for alluring design and quality craftsmanship. The San Remo outdoor fireplace captures the ambiance of the Italian Riviera in your own backyard! This charming outdoor fireplace is made from a unique concrete formula that is designed to last a lifetime. In addition, most components feature steel reinforcing for the ultimate in durability. Double walled construction ensures constant airflow, keeping the outer surfaces cool while confining higher temperatures inside the specially engineered refractory panels that line the firebox. 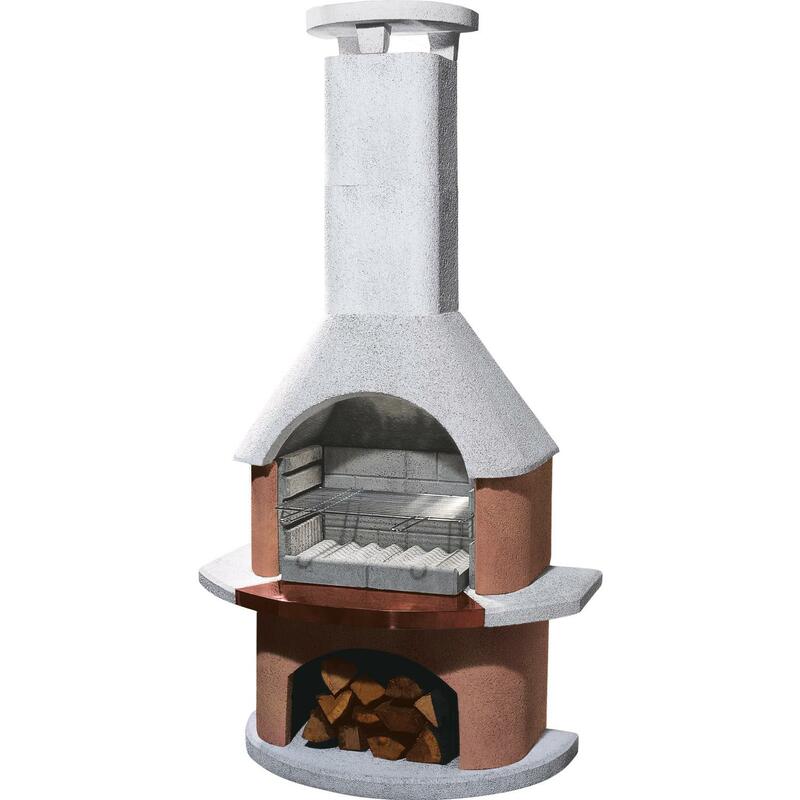 This outdoor fireplace grill is able to accommodate any foods that you would cook on a standard grill. Meat, vegetables, and even pizza! The included heavy-duty, chrome-plated grill rack is adjustable to four different cooking levels. Create delicious, wood-fired meals for family and friends, then relax in comfort while enjoying the fire after the meal. You can also use charcoal as a fuel. Buschbeck fireplace grills come with illustrated assembly instructions showing the entire process from start to finish. All you need is a few basic tools and two people working together.